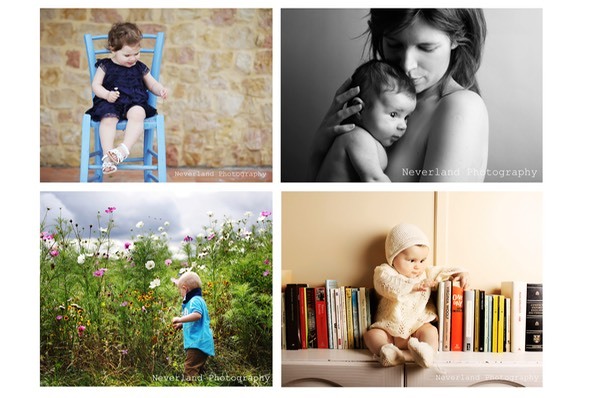 Founded by italian photographer�Linda Scuizzato Neverland Photography is based in SW London and provides a popular family photography service for Local Mums. "I love my job and always feel so lucky to be able to spend every day doing what I love the most," says italian photographer Linda Scuizzato.�"When I take a photo I really believe I'm creating a piece of art." Based in SW London,�Linda�("Yes I'm italian but I'm deeply in love with�England! ")��is clearly very passionate about photography. "Many people don’t realize how important it is to have a professional portrait of their wedding day, their family, their baby," she says.�"It’s so worth it, it’s a timeless memory which will be kept for generations." "Over many years of experience working in different countries I have had the pleasure of meeting so many interesting people, lovely families, thier babies and pets," explains Linda who has a photography studio based in Wimbledon and a studio in Italy as well. "I have had the opportunity to photograph them in beautiful locations and be able to tell their stories - and I usually become friends with most of my clients too, which is a bonus!" Linda mainly works in the UK but is happy to photograph weddings anywhere her client decides to get married. "Mainly we have requests to work in the UK, Scotland, Italy and Jersey, but we are more then happy to follow our clients anywhere else!" she says. So if you are looking for a photographer with real passion for her art,�for your wedding or your family, why not give Linda a call? Linda is offering local mums a �20�voucher worth �49 for one hour family session and 10% discount on frames and�canvases.